Safety is essential thing among motorcycle riders, and as part of safety awareness campaign for motorcycle riders, Safe-T-Ryders Motorcycle Training Center will be launching a series of Bikers Meet-Ups, firstly they scheduled on Saturday, 18 February 2012, at the Ortigas Home Depot Complex. The Bikers Meet-Up program starts with open forum featuring a well-known safety advocate Land Transportation Office or the Metro Manila Development Authority, or from a non-government organization such as the PGRSP (Philippine Global Road Safety Partnership)Executive Director Alberto Suansing. This open forum is the chance for bikers to ask and discuss on issues related to traffic regulations, safety ordinances, etc. 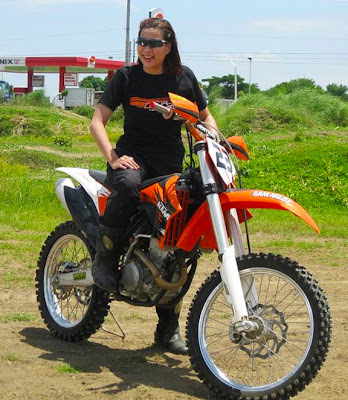 For the Meet-and-Greet portion, a celebrity biker, TV host and bike racer Love-Love Tengsico Tioseco will be invited to participate in the event and personally meet the participants of the event. Sharing of views and ideas and it will give ordinary bikers photo opportunities with a well-known personality in the biking community. More importantly will present the dangers of “Riding Under the Influence of Alcohol” and the severe consequences resulting in serious injuries and even death. Participants can also expect to take home some exciting raffle prizes and give-aways, courtesy of the Bikers Meet-Ups sponsors. Clubs, individual riders, TODAs are welcome to join the event, which is free of charge. The 1st Biker Meet-Up will be from 1:00 pm to 4:00 pm on Saturday, 18 February 2012, at the Safe-T-Ryders Training Center at the Ortigas Home Depot complex along J. Vargas Avenue, Pasig City. Corporate sponsors who wish to support the riding safety advocacy are welcomed to pitch in and help in reaching out to as many riders as possible. Safe-T-Ryders Motorcycle Training Center believes that a sound knowledge base as well as strong riding skills result in safer road users and enhance the enjoyment of motorcycle riders. It is established by Arnel Doria, who was formerly a marketing executive with a leading car brand, and was instrumental in setting up the country’s first integrated vehicle training center. Safe-T-Ryders is manned by Julius Ballesteros, a TESDA-certified instructor, who has just returned from a two-year stint as a safety driving instructor of a large Saudi Arabian company. He is assisted by Sulfikar Guiabel, an experienced LTO-accredited riding/driving instructor. For more information, please contact Arnel Doria (Tel No. 208-8035 // CP No. 0932-872-3389). Like us on Facebook (www.facebook.com/safetryders) for event updates.